Link Partition belongs to Link collection, a modular system for custom made solutions. This double-sided partition bookcase is perfect to mark the entrance of an open space or flat without a proper entrance space, or again to divide the kitchen from the living area or the night area to the living one in a one-room flat. Link Partition is composed of metallic columns which can be placed floor standing and wall or ceiling mounted. 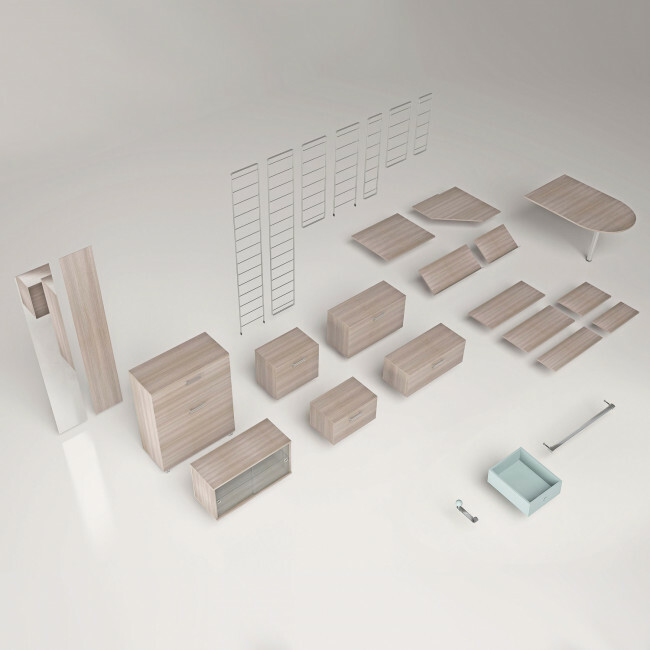 The composition in the images shown a solution composed of three columns with shelves, storage units and table with peninsula, completed by a bookcase fastened to the ceiling. The partition bookcase between kitchen and living room is a multipurpose furniture item and it is double-sided: one side devoted to the dining area with storage units coming with glass doors to keep glasses and dishes, the other side on the living area which can be used to organize books and decorative objects. If the space at disposal is smaller, you can put the TV directly on the bookcase which can turn into a real wall system for the living room, both sides have a specific function. 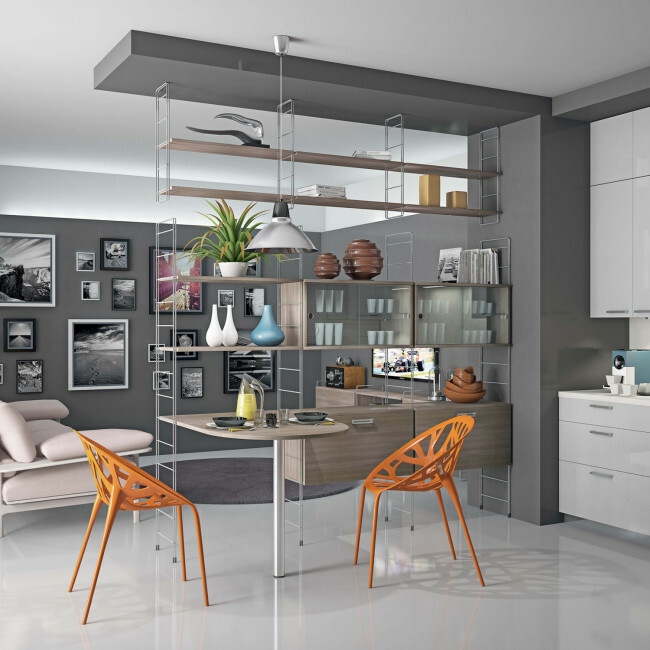 The storage units too can be placed wherever you like, with opening towards the kitchen or the living room. In a one-room flat or in a holiday house, the partition bookcase can also be equipped with Link Bed, a furniture piece with a single foldaway bed to use only when you need. 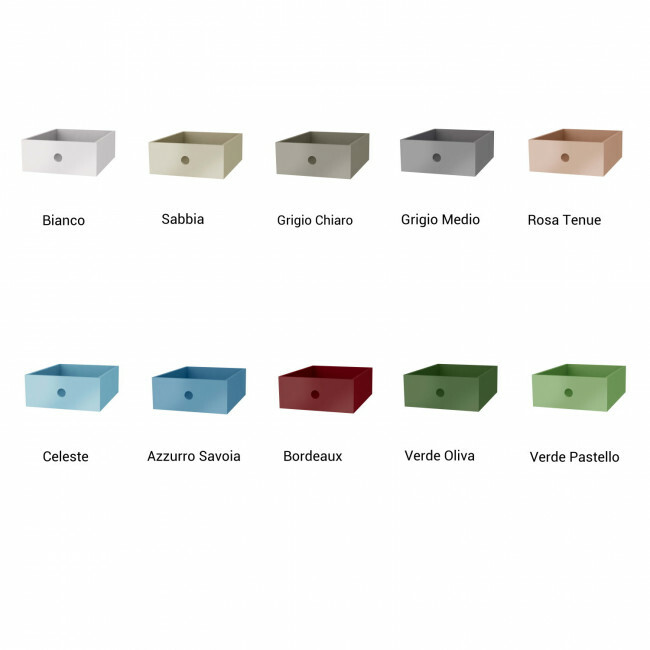 Use the product configurator to go through the available finishes and colours for each single element. Link Living is a double-sided partition bookcase, wall mounted or floor standing. It belongs to Link collection: a modular system with columns available in different heights and equipped with shelves in different widths. 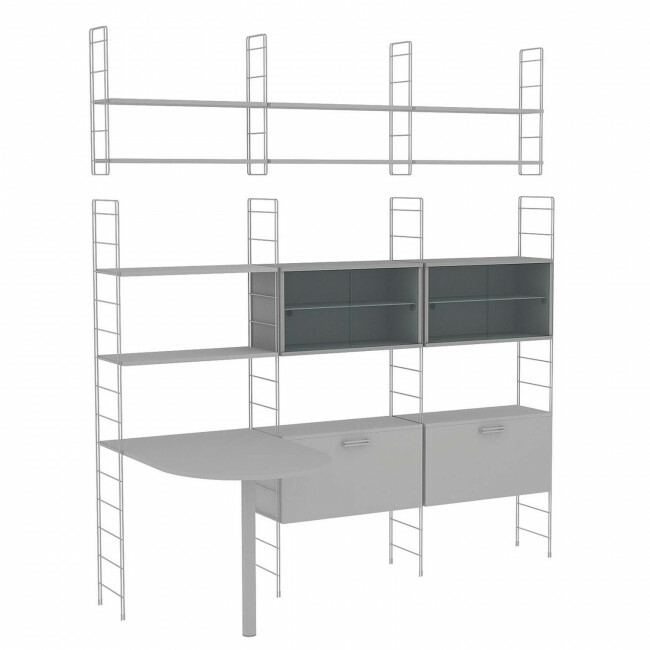 The modular feature of this bookcase makes it possible to get custom made solutions suitable to furnish domestic environments, offices or commercial premises. By visiting our shops and Partner Retailers you will receive professional assistance in creating the perfect furniture solutions for your own space. You can find all customization possibilities by using the configuration menu.